Letter from Dr. Murray Vernon King to LP RE: is glad that LP is interested in participating in the written debate on resonance theory. Would appreciate input from LP as they prepare for the discussion. 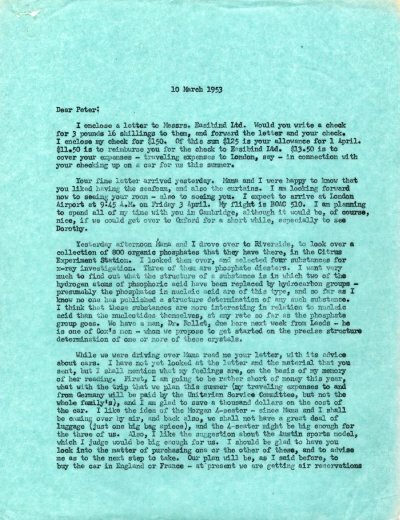 [Letter from LP to Dr. King February 18, 1953].